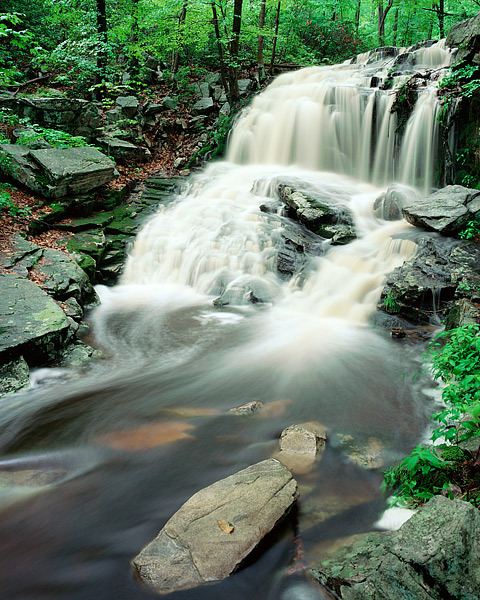 Tioratti creek in Harriman State Park is running fast over Tioratti falls preceeding days of heavy spring rains. Spring is in full force in New York and the trees are a luminous green with all the moisture that has fallen. Photo © copyright by Thomas Mangan.